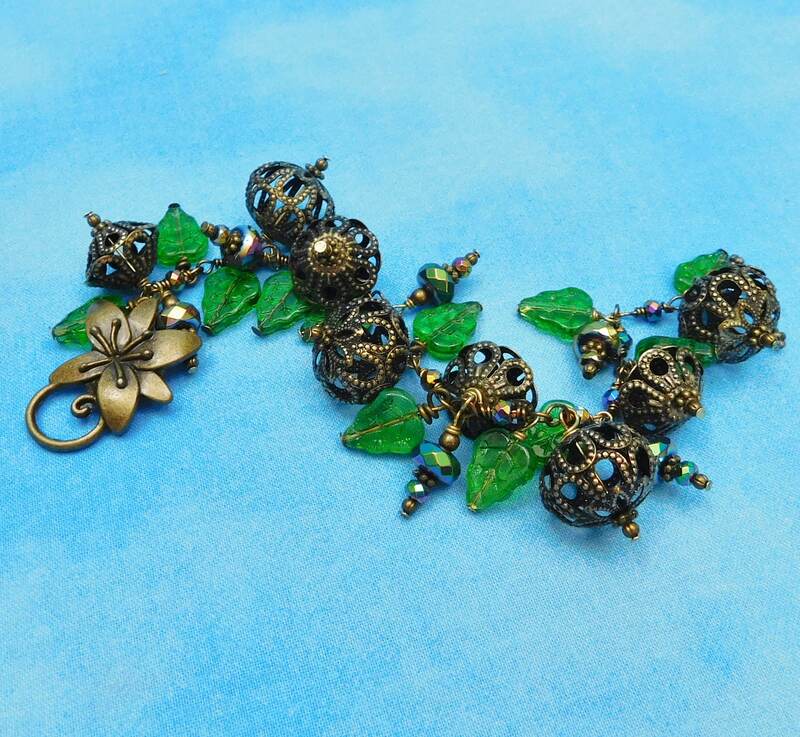 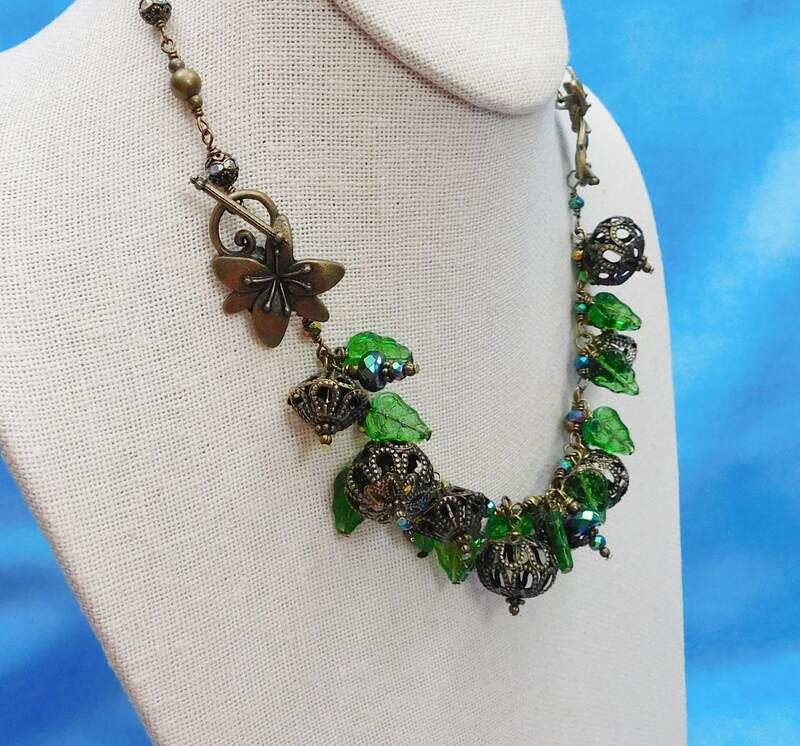 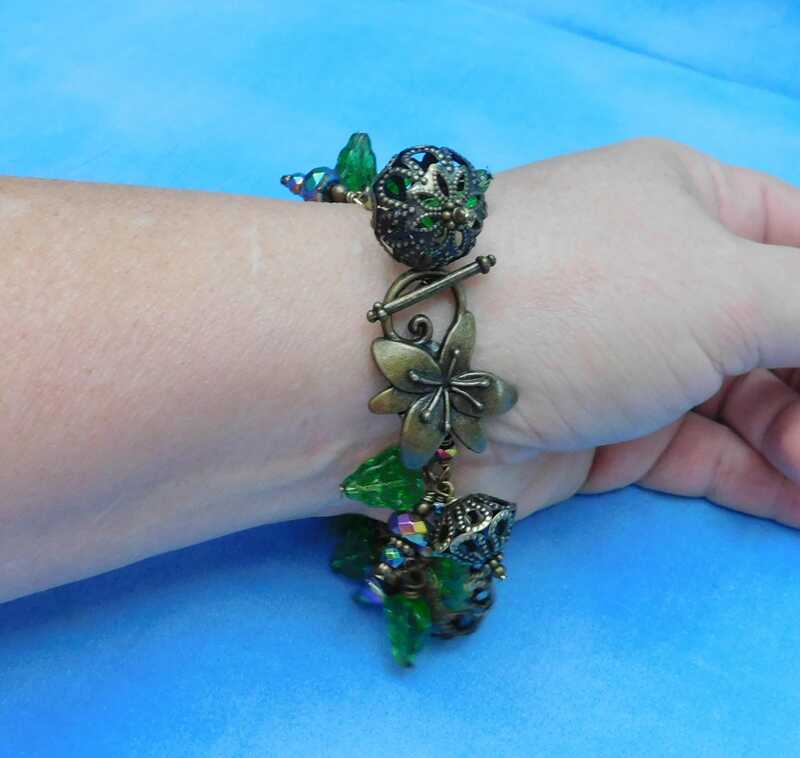 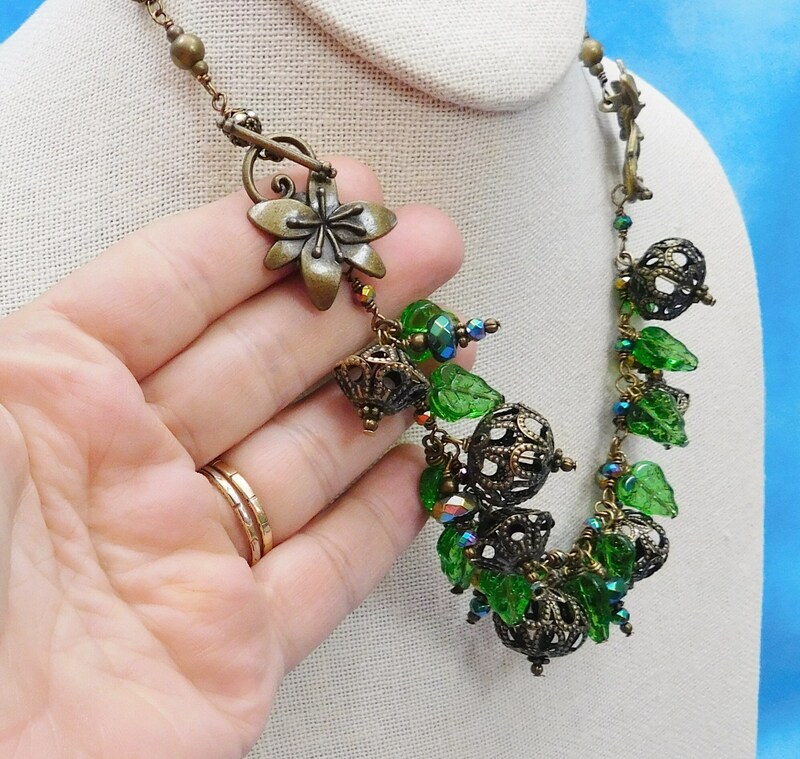 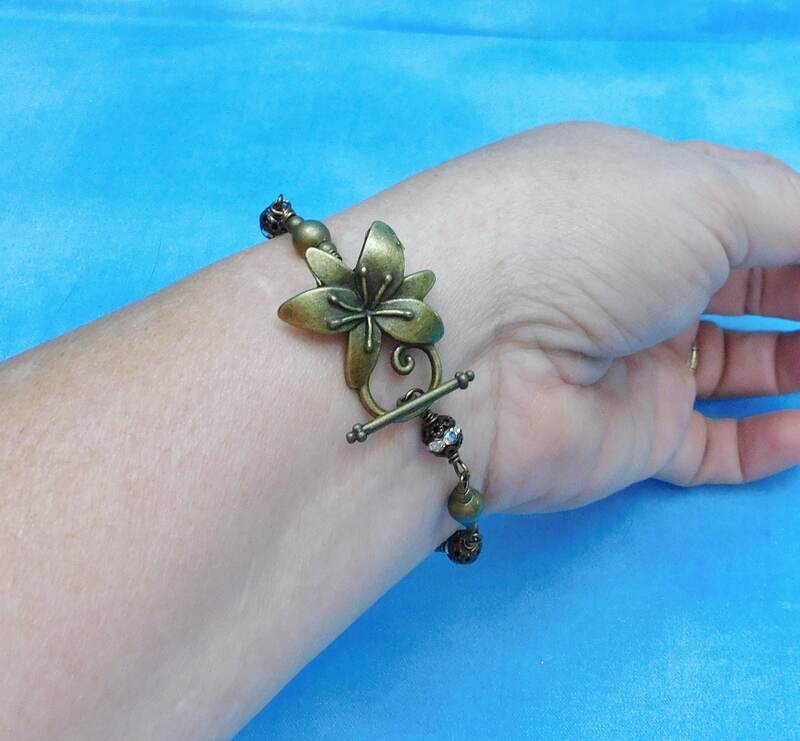 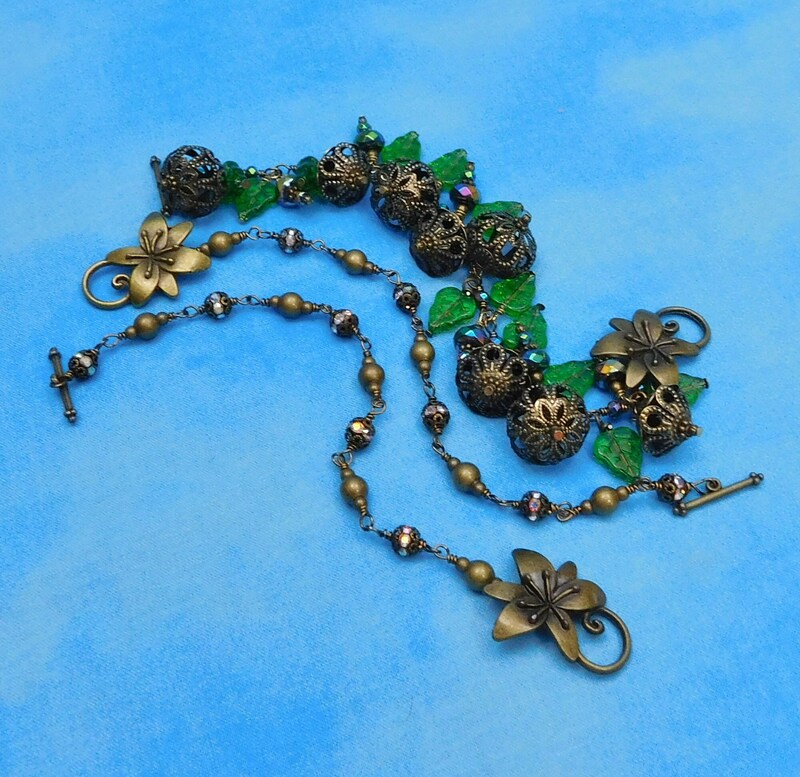 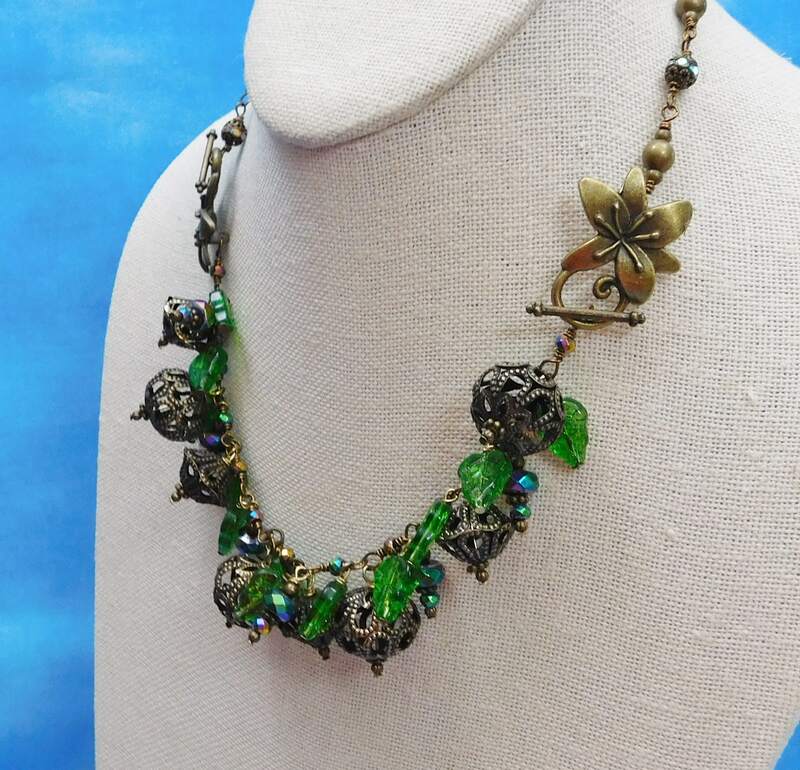 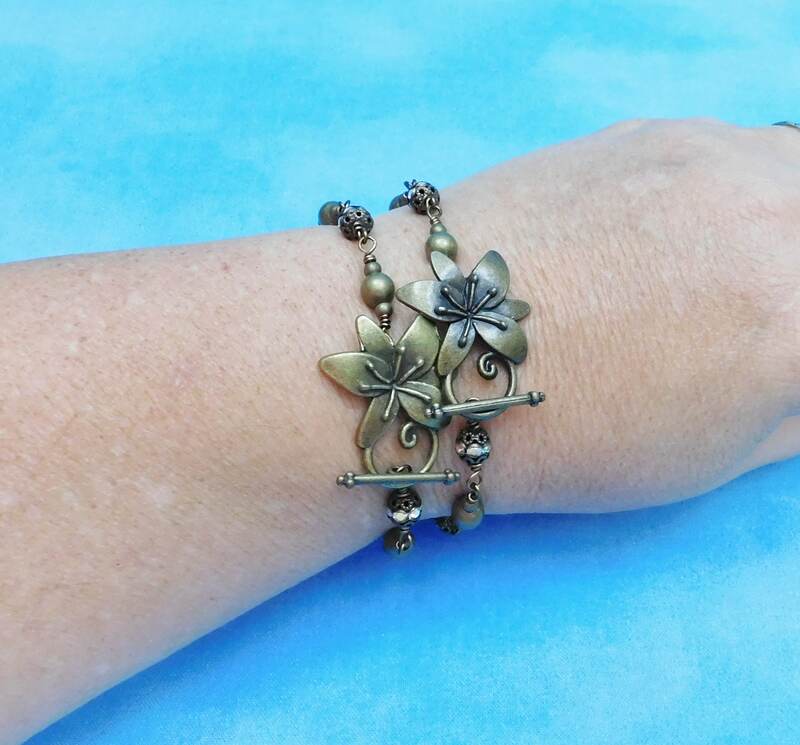 Vintage bronze wire and beads are combined with fire polished glass leaves, beads, and bronze filigree to create three bracelet length sections that can be combined to create a 22 inch cluster bib style necklace. 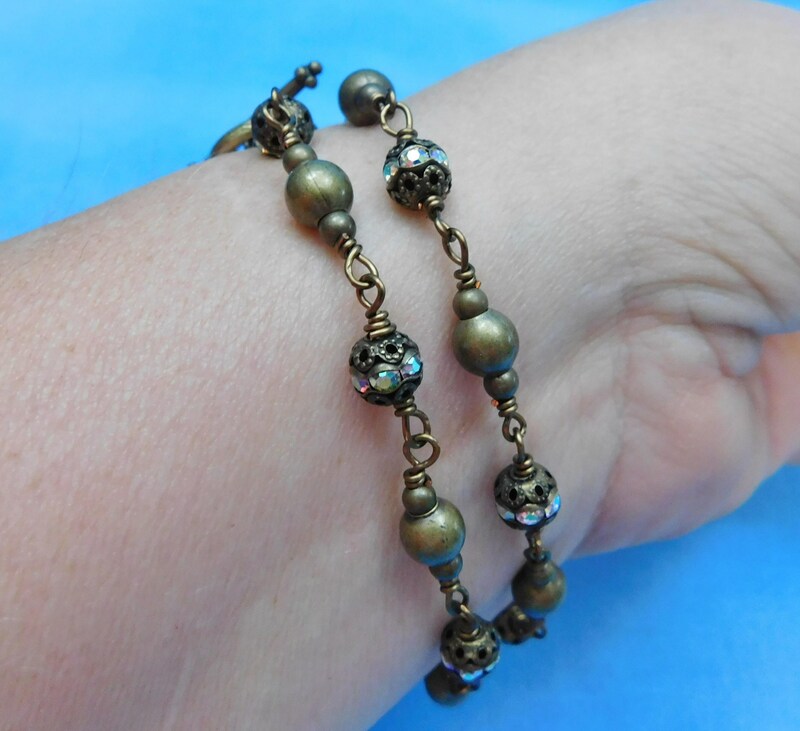 The cluster bracelet is 8 inches in length, and the two ball link bracelets are 7 inches long each. 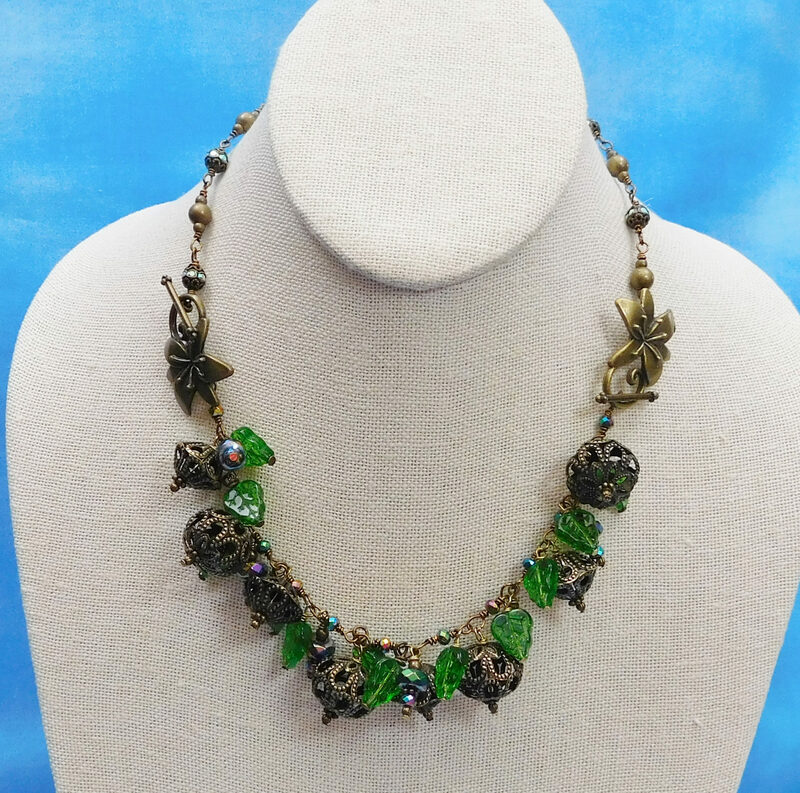 This is a fun design that will be a great addition to any woman's wardrobe.